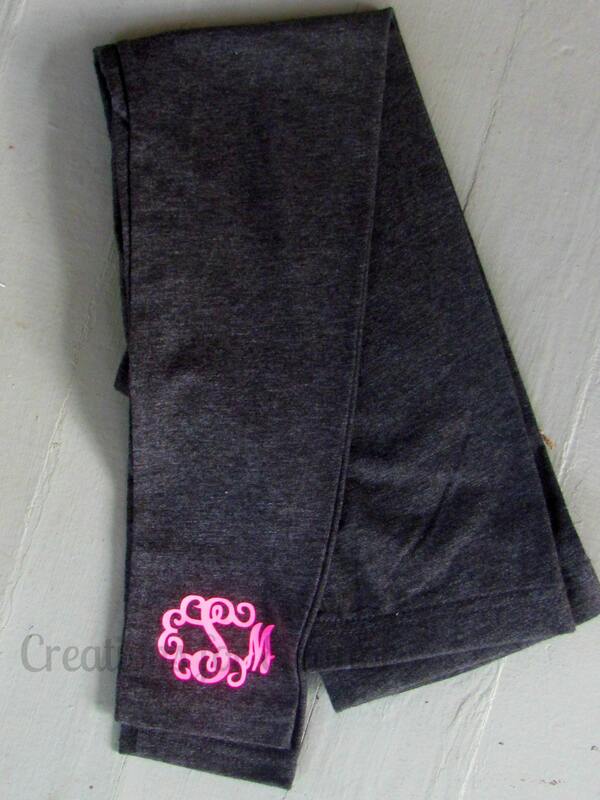 Girls monogrammed leggings, a fun addition to everyday staples. Looks great paired with any of our t-shirts, sweatshirts or button downs. 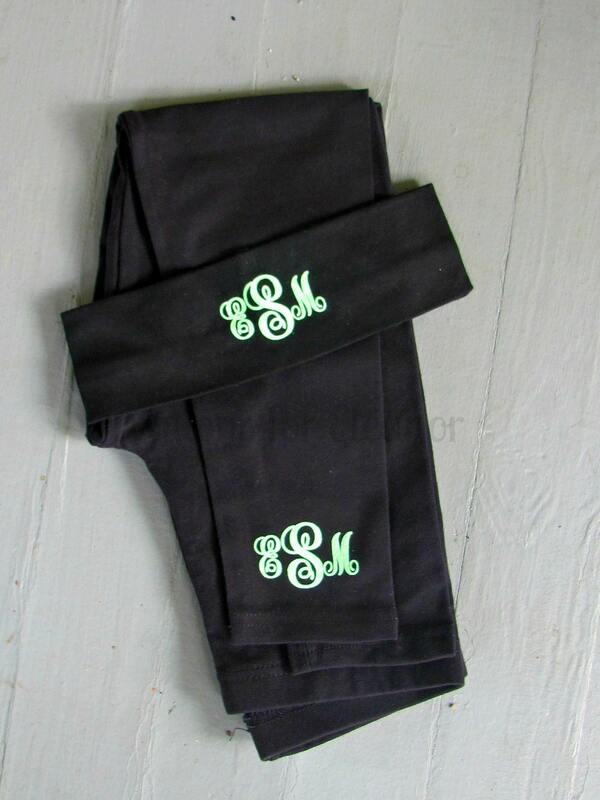 Pants are monogrammed with a small vinyl monogram on the bottom of the left pant leg. 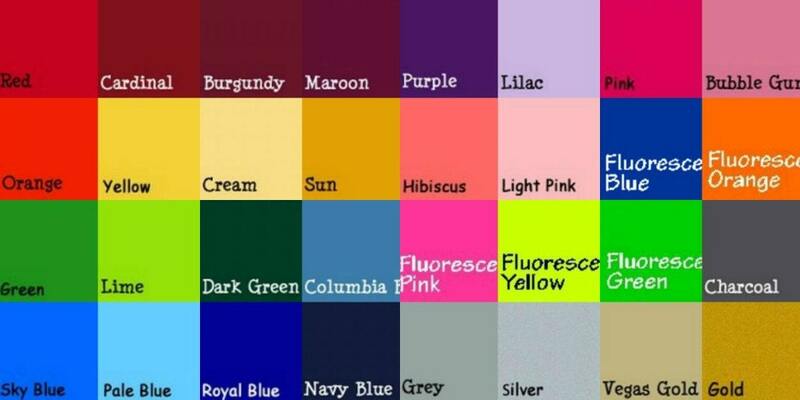 It is professionally heat pressed, not ironed, to provide a professional, long wearing finish. Pants are made of 90/10 cotton spandex blend. Completed in a pet free, smoke free home. All orders ship in 3-4 weeks, message me BEFORE ordering if you will need them before to see if possible. There is a $10 rush fee for orders that must be rushed. 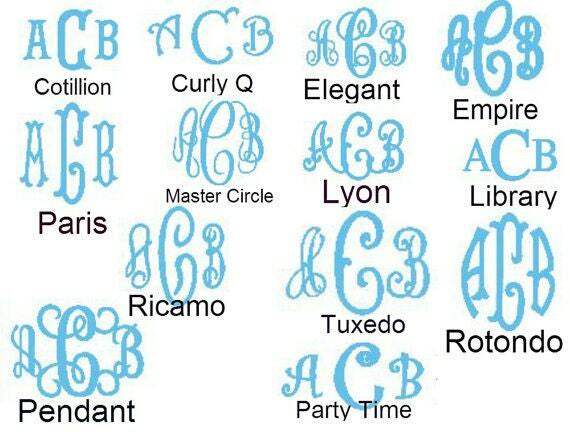 Please include the letters in order first LAST middle, font choice and vinyl color. Matching headband is also available.